Sister Jean Snyder died very peacefully in our Maryknoll Home Care on Saturday, January 28, 2017. She was 91 years old and had been a Maryknoll Sister for 60 years. Jean was born in Reading, PA to Alice M. (Schwartz) and Effinger Snyder. She was their only child. Following her father’s death, her mother married John Y. Fegley and Jean gained a stepsister, also called Jean. Jean attended public schools in Reading, PA and graduated from Reading High School ranking #32 in a class of more than 600. She obtained a Bachelor of Science in Biology from Bucknell University, Lewisburg, PA majoring in Medical Technology. After a one-year internship as a medical technologist in Geisinger Memorial Hospital, Danville, PA, Jean passed the national exam and was certified as a Medical Technologist in the American Society of Clinical Pathology. Originally, a member of the Lutheran Church, Jean became a Catholic at the age of 25. She continued to study the Catholic religion avidly reading the best Catholic books on the market at the time. According to her parish priest, Jean came to him a week after her baptism and said, “Now I’m ready – make me a saint!” She was attracted to prayer and the Sacraments, and almost a daily communicant. After six years, and at the age of 31, she applied and was accepted as a Maryknoll postulant on September 2, 1956. 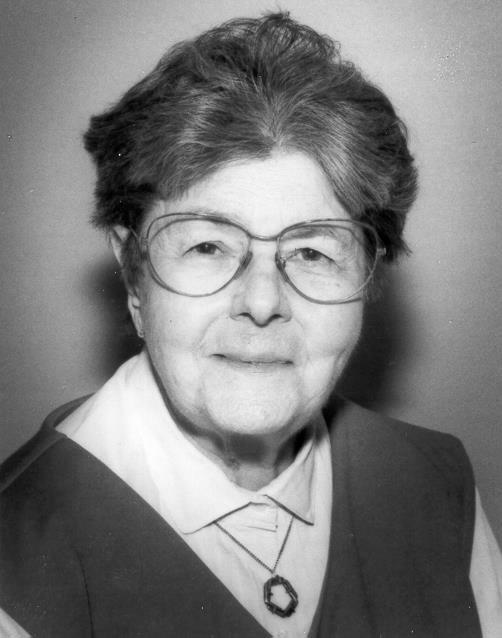 Sr. Jean’s religious name was Sr. Rose Benedict, but she returned to her given name, Jean, after Vatican II. Sister made her First Vows on June 24, 1959 at Maryknoll, NY and made her Final Vows on the same date in 1965 in Valley Park, MO. Jean served in many capacities. She set up and ran the Medical Laboratory at Queen of the World Hospital in Kansas City, MO (1960-1965). From 1966 to August 1969, assigned to the Philippine Region, she helped with team planning and setting up of the medical laboratory, dietary and pharmacy department for the “hospital in process” in Manila. When plans for the “new St. Paul’s Hospital” could not be completed, she accepted an emergency request to be the Chief Medical Technologist at St. Joseph’s Hospital in Manapla, Negros Occidental for a short time. After that, she requested an assignment to the Eastern U.S. Region. From 1970-1976 she worked as a Medical Technologist at the Reading, PA Hospital and Medical Center where she eventually became Chief Technologist with a staff of more than 100 persons. While there she was able to help with her mother meet her special medical needs. Jean was busy and happy in the Central Pacific Region, enjoying living in a small community and developed many friends. She was able to serve part-time on the staff of the Spiritual Life Center in Manoa, HI. At St. Pius X Parish, Honolulu, HI she led the music ministry, trained Eucharistic Ministers and Lectors. In May 1997 feeling it was time to “slow down,” Jean requested an assignment to Monrovia, CA and stayed there for a three happy years. In 2000, she requested to transfer to the Maryknoll Sister Center in NY where she recognized her need for “assisted living”. Jean lived with the devoted care of the Assisted Living staff and Sisters for 16 years. We welcome our Maryknoll Brother, Father Emile Dumas, who will celebrate the Mass of Christian Burial for our Sister Jean.